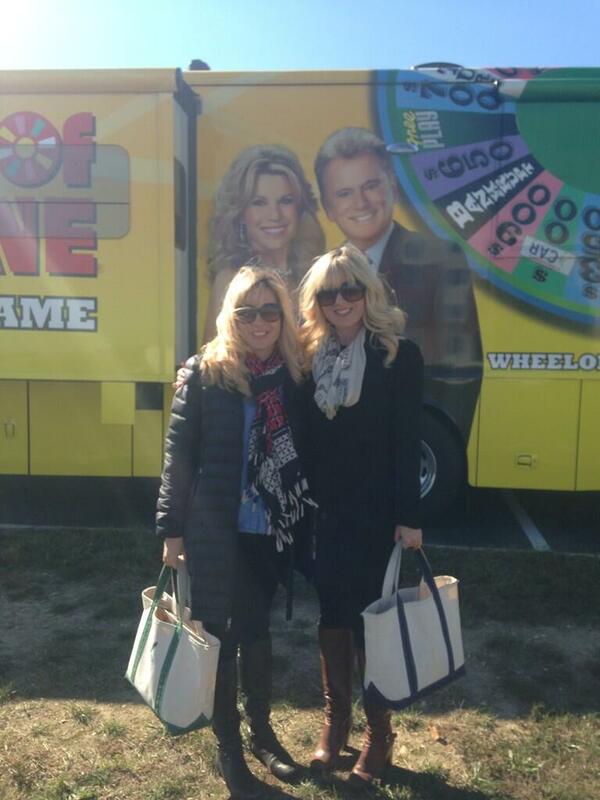 I dream of being on Wheel of Fortune one day - I've been a huge fan of the show for years! So when I heard the Wheel Mobile would be making a stop in VA this weekend, I knew I had to give it a try. Amber and I waited in line and added our names to the lottery. They randomly select people to play a little speed round for a chance at being asked to the next round of interviews. Unfortunately our names weren't drawn, but I'm not giving up! One day you may just see me next to Pat and Vanna! Don't you think we would make a great "siblings week" team?